– Polished on a layer of granite, which have a high degree of transparency and brightness. – Polished on technical porcelain, with a greater resistance to scratching but with a lower degree of gloss and transparency. During the process of polishing the materials with granules, a superficial micro-porosity is generated, which causes the tile to become easily soiled and difficult to clean. To avoid this problem, an organic sealer is applied after the heating process to prevent dirt from entering the pore. This sealer, depending on the use of the tile, may lose its properties over time. 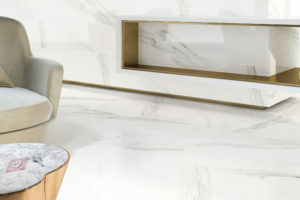 In the case of DUNE ‘s polished Calacatta Lux, the production process is carried out with different raw materials: it starts with a mixture of granite and enamel that, when polished, generates a layer without superficial micro-porosity. 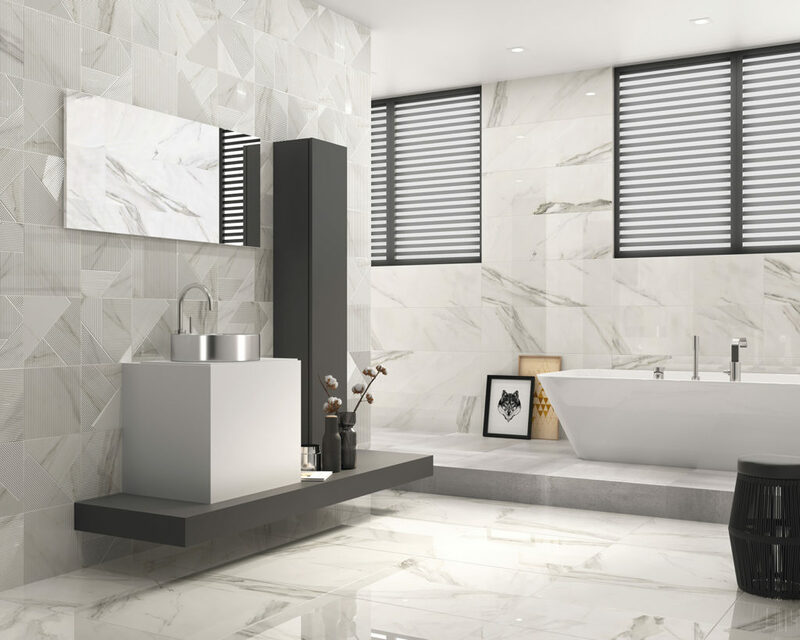 The polished Calacatta Lux offered by DUNE, has a greater resistance to stains and scratches than that offered by grinding on granules, and does not require the application of sealant.